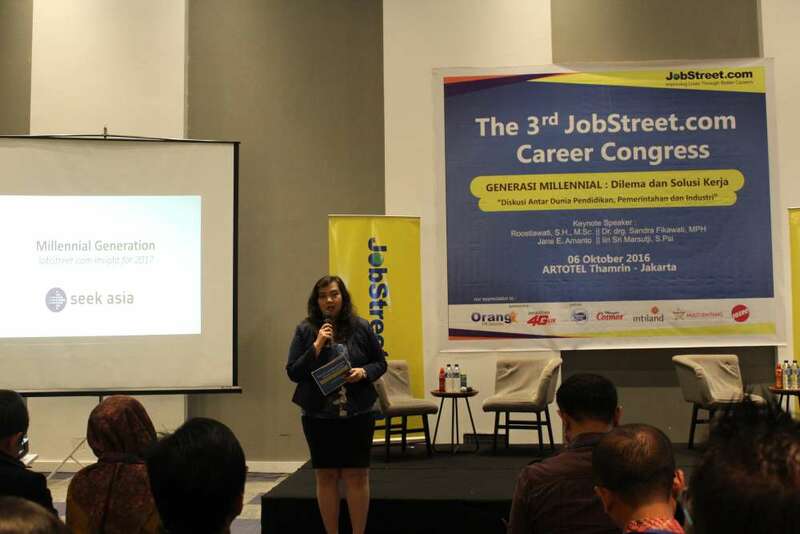 Jakarta, October 6, 2016 - OrangE as an HR solution participates as sponsorship in The 3rd Jobstreet.com Career Congress with the theme of Millennial Generation, Dilemmas, and Solutions Work For Them. Millennial generation (Gen-Y) is a generation born in the span of the early 1980s until 2000. Millennial behavior as follows: multitasker, tech-savvy, collaborator / cocreator, social, adventurer, transparent, work-life balance. Gen Y, aka Millennials, live in an era that is more democratic and decentralized, making them feel they have autonomy over their lives. Millennials live with curtailing freedom of expression and open-mindedness that sometimes regardless of the thoughts or opinions of others, in addition to the culture of instant increase the level of no-show when the interview session. What other problems that may occur because of these cultural differences in the world of work? At the 3rd Jobstreet.com career congress, OrangE as an HR Solution gives a presentation and discuss to find solutions for the problem with our HR Consultant.